I'll add Zach Harrison to the Rushmen package in obvious passing downs. His length and speed opposite Young will keep opponents from doubling Young. Plus the occasional drop into coverage. Sevyn Banks looked awesome in high school. Just very fluid and quick. Jean-Baptiste has some promise, but he needs some muscle still, more than likely. And I also can't wait to see Gill on the field regularly. He should be fun to watch eventually. Ignorance isn't bliss for the rest of us. I am really high on Jean-Baptiste once he puts on the weight. He was 6'5 215 lbs coming out of high school but his roster page has him up to 235 lbs already. He isn't too far away from being on the field and making an impact. I like his motor, speed and length, for sure. He was a bean pole, but still a beast on the d line, so the sky is the limit with an extra 40 pounds. Chris Holtmann could use him right now! We lack size big time on the hard court. I recall some stellar bball highlight videos of Rashod Berry too. Hey coach, give Ryan Day a call and see if Berry can be 'borrowed' for the next 3 months! I’m hoping this is the year that Baron Browning puts it all together and has a breakout year. The kid is uber talented, hopefully Coach Washington can get the best out of him. Browning will be the measuring stick for Al Washington as a lb coach. I am so excited to see this next batch of super sophomores! Olave and NPF will be contributing, too! With Prince gone (and three other OLinemen), we are going to need Nick Petit-Frere to really step it up. But my sleeper candidate is the walk-on Lloyd McFarquhar to burst onto the scene, play lights out, get a schollie, and challenge the other CB's to start. Just based on his name alone, I want to see this kid on the field. Kinda feel like his name should be preceded w “Sir”. Sir Lloyd McFarquhar. I first read his name as Lord Farguaad. 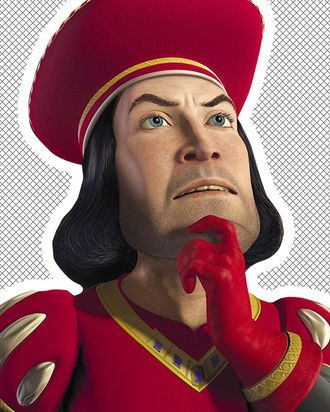 No, Lord Farquaad is in the transfer portal. Interesting that Banks was the cornerback on this list instead of Tyreke Johnson. I have heard literally nothing about Johnson. I was the most excited about him in his class. Me as well. He and Chris Olave were my preseason picks for most underrated incoming freshmen. Even though Johnson was a 5-star on some recruiting lists, no one was talking about him. He sounded like he was insisting on playing cornerback but I’ve always thought of him as a safety. You might have answered your question with that last sentence. If I recall correctly, even Brown was ahead of him before he got hurt. Maybe you should go back and find the video of the Rose bowl practices with the DB's going thru "Tackling Drills" lol -- Tyreke Johnson, to my dismay, looked HORRIBLE! he literally Ty'reeked' -- "WHIFFED" badly on two/three tackles in the practice video,lol falling flat on his face out of bounds,lol -- and we're talkin' bout practice!! and he can't even make a tackle of a WR going at about 70% effort in a closed area practice drill -- I highly doubt he could tackle anyone in a game with much more space and everyone going @ 100%!! After watching that video, I don't expect to ever see him on the field in Columbus -- transfer candidate for me unless he steps it up big time -- he needs to wake up fast. I missed it. Can you kink it? And good for you for ridiculing and rooting against a guy. I don't know about that Stu. He missed 1 tackle at a practice for a game he knew he wasn't gonna play in. And yes I saw the video you referenced...he didn't look good. He knocked one guy out of bounds and missed the next guy...seemed to rely too much on the boundary and not enough on wrapping up. Could have come from an hs where that kind of thing was acceptable. As is, from that limited sample you are correct he looked bad. I agree. Larry Johnson does not seem to favor the oversized >320 lb nose tackle types. So, Togiai could be his prototypical 1-technique DT and the closest thing we’ll see to a “space eater” under his system: super strong and powerful, low center of gravity, but not fat and sloppy. Haskell Garrett could be the NT too right? Off the top of my head I remember seeing him more this year but not sure if he was at NT or playing DE. I think Garrett is a 3-technique, but I could be wrong. He is in line for a lot of playing time in 2019, with Dre’Mont gone, although Vincent will probably be in the mix, too. Mahalo, Canuk, I don't know how Togiai was left off the writer's listing. He is definitely my pick for a rising star that will shine. Aloha. No'u ka hau'oli, SilverHaven !!! I'm guessing that you're not currently staring out your window at a blanket of white snow and temperatures today of -17 degrees (C) ?? Love Big Tom and know that he's going to leave a BIG impression on every lineman he goes up against. Pretty soon they'll figure out that one lineman isn't enough to stop this powerhouse - he'll be eating up double-teams every game. All the best from The Great White North !! You guessed correctly. Off the lanai looks nice. Aloha. He is definitely my pick for a rising star that will shine. Aloha. I thought he was from Utah? I agree. He was the first to have his black stripe off way back last spring. I watched his high school video, I knew he'll be a star. Realizing Dobbins is back, still like to see Master T get some opps. And possibly Proctor on the D side. The real group of interest is what happens w the LBs. Much debate/discussion but we’ll have to trust the process in the end. Right. Outside of QB and possibly OL, LB is by far the biggest question mark for Day’s first team. While the problem with the OL is serviceable depth, that’s not the case with LB. When I think about who’s there—Borland, Browning, Gant, Harrison, Hilliard, Mitchell, Pope, and Werner—I have to believe that it’s been a coaching issue, not talent, and as much as I like Tuf Borland because he’s an old school plugger, I have a hard time believing he’s more talented than Baron Browning, especially since Borland couldn’t have been 100% healthy. The problem was obviously Bill Davis. Borland shouldn't even starting for Hilliard. My starting 4 are Harrison, Browning, Hilliard, and Pope. Who said Hilliard was even getting a 5th year? So you think if Browning was better than Borland, he’d be sitting. Really?? I didn't realize DE was an idiot position...thanks for clearing that up. Let’s not forget Corey Linsley at Center for the Packers! Cupboards are ALWAYS full here at OSU. The best thing about Washington coming in is everyone has a clean slate. I can't imagine Washington being a worse evaluator/developer of talent than Davis. All LBs start from scratch which means that Borland and Werner will have to prove their worth to Washington if they wish to remain starters. Borland will be needed against Wisconsin, Michigan and other power running teams. Not sure about his playing time against the rest of the slate. Werner may be best suited to covering a TE in certain passing situations. He is out of position a lot as an every down LB, but did have a great strip against TTUN saving a sure TD. Andrew, I agree that the surprise on this list is Gill. If he gets significant minutes, he will have really impressed and truly earned his time. If Gill doesn't see the field a lot this season than he is not the player he was projected to be. Who is going to keep him on bench? It is time to admit that Victor and McCall are not the players people hoped they would be. Cooper liked to say "if a dog's going to bite he will bite as a pup" and those words are true more often than not. I don't know about your take on McCall. He has shown play making ability in his few touches. Getting him some regular touches is the only thing he is lacking. He's very dangerous in the open, it's up to the coaches to get him the ball where it makes sense. Running between the tackles is probably not it. I disagree, McCall is a stud, he just never gets in the game..that kid could house it at anytime and I never really understood why he didn't get more PT, I'm guessing due to Urban's"loyalty" to his older players.. I think the answer is, we need more football. More months. Best, most correct fu king answer on 11W, on any thread, on this day. That deserves a BOOM! With Tate in protocol and Fields not yet cleared, I would suggest Baldwin. Plus, I don't think it matters if all three are on the roster, I think Baldwin is going to make his case. On the defensive side of the ball, I think Vincent will take a big step and made a difference. You never know when a player will hit his stride and make that leap. Those bowl practices and spring practice really give players time to develop physically and learn the system. Want to see a lot of new players on the field this year. The Buckeyes have an EMBARRASSMENT of riches at ALL THE POSITIONS and I feel that it runs 3-Deep except OL. It’s on this staff to evolve the team to play at the bar we set for ourselves and not down to our competition like we saw in 2018 (Indiana, Minn, Maryland, Nebraska etc). Excited to see who steps up...pretty much clean slate for all 11 positions on Defense. Go Get’em!!!! "When you help someone up a hill, you get that much closer to the top yourself..."
My breakout candidate on defense is josh proctor. On offense, I believe Jeremy Ruckert is going to flourish in the new offense. Having a breakout TE has been a running wish since Rickey Dudley was menacing defense for John Cooper. Ruckert may be the most gifted receiving TE we've had in the last couple of decades, and I hope we take advantage of his skillset. But I remain skeptical until we actually start featuring a TE. I truly think Ruckert should be used as a WR and lined up as such. Slot, out wide...forget the blocking...just let this kid catch the damn ball. I am hopeful the new defensive coaches have a break out year and we get back to the Silver Bullets we remember...any breakout at LB and CB will be much appreciated!! Interesting picture of Fields on that twitter video. Mechanics need to improve with the ball below his shoulder showing that he winds up to throw, which means a long delivery. Always and forever, Go Bucks! Fields is the man if he gets immediate eligibility. He was greatly misused by the clowns in Georgia. He is very raw but there are strong coaches around him to develope him into a first class QB. Ohio State has not seen a dual threat like him. Btw, what’s going on with big mouth Martell. He is that guy that tried to bully Justin from coming to OSU and now may be turning tail and running out of dodge. Way to show your character. Love the Gill pick. My candidates: Ruckert, NPF, Teradja...and obviously, Garrett Wilson. After reading this article and the comments, clearly the cupboard is not bare! The next two years look fabulous! OSU is loaded with young talent... gonna be fun! He has shown so much potential. Eddie George-esque power back with a name to boot. Coukd see playing time if Alford wants to rotate like last year. My pick for break out guy, but probably 2020. . I was hoping to see a LB or two on this list. We all have great expectations for Fields, but I was a bit mystified in the video that he was run down from behind by a couple of UMass players. Either he isn't that fast, or he wasn't trying very hard. But maybe his stature as a runner isn't built so much on speed as it is on shiftiness. Guess we'll find out more when we see him in action for the Buckeyes. I sure hope he produces great things for us. To my eyes Fields seemed to have a great initial burst and lateral quickness but not as much sustained downfield speed. Interesting that his most consistently effective plays were pulling it down and taking off, often ending with him taking big hits rather than avoiding contact or sliding. Will Day encourage that? Thanks Coach Meyer. A new Day has dawned. Go Bucks, beat ttun! Was Chris Olave "active" for the Rose Bowl? -- practice injury? -- where was he!?? Got 26 snaps, but didn't record a catch. Fields is obvious, though still a question mark. Not a question mark, in my mind, is Togiai, who I really think is going to a beast and a possible 1st round pick in 2 years. I'm also pretty sold already on Olave and Ruckert, who I hope emerge as sophomore stars. If Petit-Frere is as advertised and Browning can realize his potential? Ohio State is a playoff caliber team, again. I feel like a lot of people are forgetting about Marcus Williamson. I think he would be a perfect nickel corner. I pick Togiai, Garrett Wilson and Fields as the candidates. Either Browning or Teradja as the leading LB. Either Chase or Z. Harrison as DE star. The latter seems he's ready and has speed. On the other hand, Chase has more experience and is more developed. I think Harry Miller is a good candidate for OL. He's quick. I watched last Spring Game, Shaun Wade is the best CB. It's hard to pick a RB/APB star. I think it's Teague III. We have an embarrassment of riches, I believe it's on some of coaches. I'm glad we had these coaches replaced. Actually I don't care where the players come from as long as they are good, but for those of you who think we need recruits fom Ohio, 3 of these 5 are Ohioans. Nice call Stpetebuck, went to last year's spring game and Master Teague just dominated! Love him between the tackles, always moving downhill, need a yard, he will get three!! Nice compliment to JK Dobbins in the backfield, they could use them both at the same time. Whatever happened to J. Cage? I kind of wonder the same. He's a big kid, not CRAZY highly recruited, but I loved what I saw of him coming out of high school. 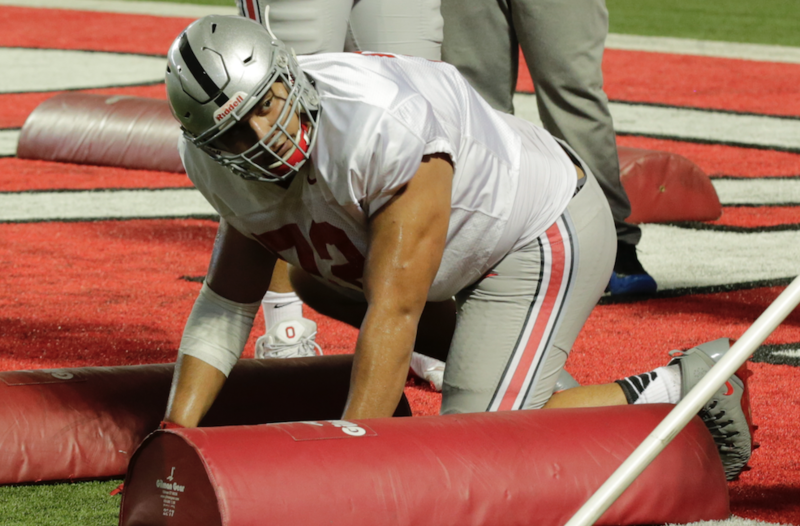 Honestly could just be the numbers game if you look at who Ohio State has long the DL. There are plenty of reps to go around because of how quick the rotation is... Does certainly make you wonder. I really like Tyreke Smith and Tyler Friday to push hard for a heavy spot in the rotation. I think Cooper's snaps are the most likely to get limited if they emerge, but it'd be great to keep Chase Young fresh later in games if Smith and Friday are up to the task. The amount of talent we have on defense from the 2018 and 2017 class is scary. Hopefully the new staff knows how to use them. This is a big year for guys like Browning, Proctor, Tyreke Johnson, etc. If they don't make a huge leap this year then they will get passed up quickly. I look forward to being wrong, but is Fields THAT much better than Martell? They seem pretty similar based on the video here. As Tate said, he already knows the playbook and has two years of relationships with the players. You either are, or you're not.